One the greatest influences of our genre of music has just passed of lung cancer. 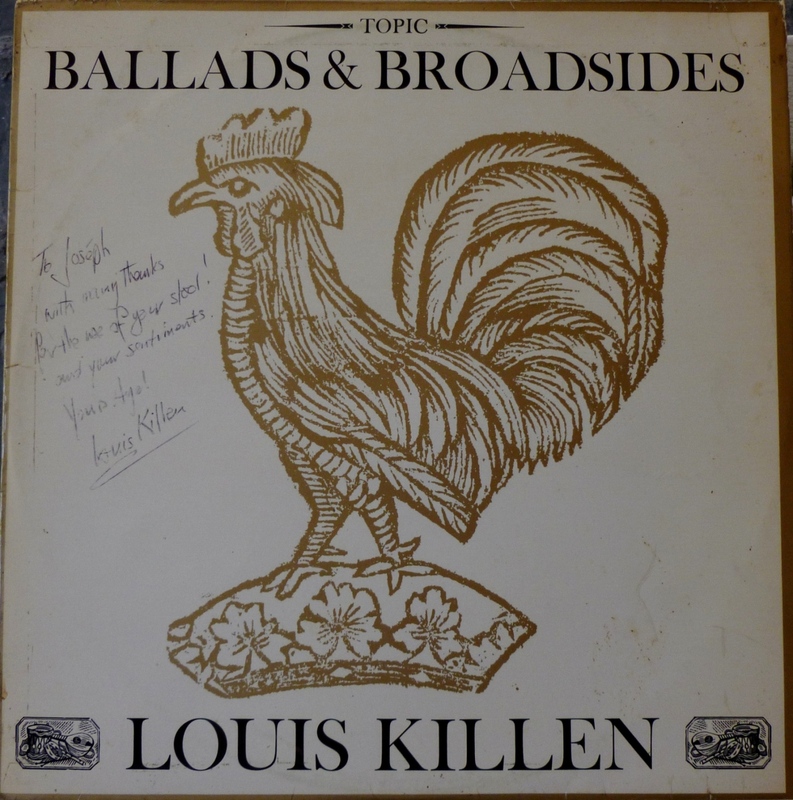 Louis Killen – Louisa Jo Killen was a tremendous singer and concertina player and the loss to all of us is great beyond sufficient words. Louisa was born and raised in Gateshead, Tyneside, England, to a family of lovers of music, and his influences included traditional ballads and work songs, church hymns and whatever could be had down at the music hall, classical as well. She was a founding member of several music clubs and circles, and a tight friend of the Watersons. She truly built her mark in the 60s, and while the folk music scene dwindled to a whisper late in the 70s, Louisa remained a force to be reckoned with, particularly in the Maritime music scene the world over. In the mid 1960s she moved to the US, and became a partner in the Clancy Brothers for a time. 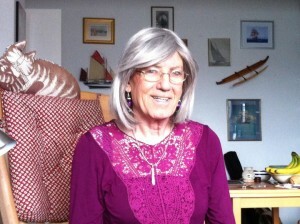 Around the start of this century, she returned home to Gateshead. 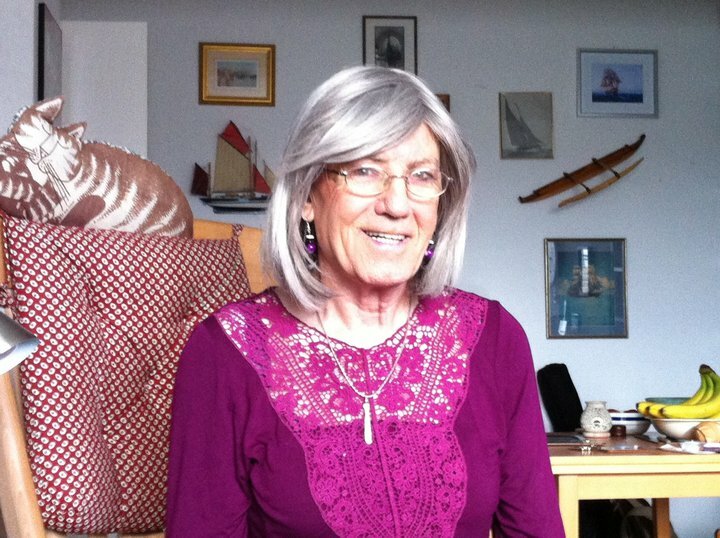 A few years back, Louisa came out that though all her life a man, she truly was a woman and she embraced that, as we all did her throughout her life. 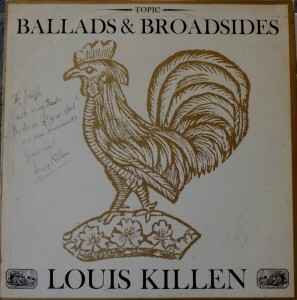 My own experience with Louisa was in short episodes but left indelible marks on me… As a child, my step-father knew her and owned a copy of her first album “Ballads & Broadsides” (1965) which I still own and is my greatest influence for my playing of the English concertina. I would interact with her when she would come to South Street Seaport or to Mystic Seaport, but how I wish I could have had ample opportunity to sit, play, and learn my concertina playing directly from her! 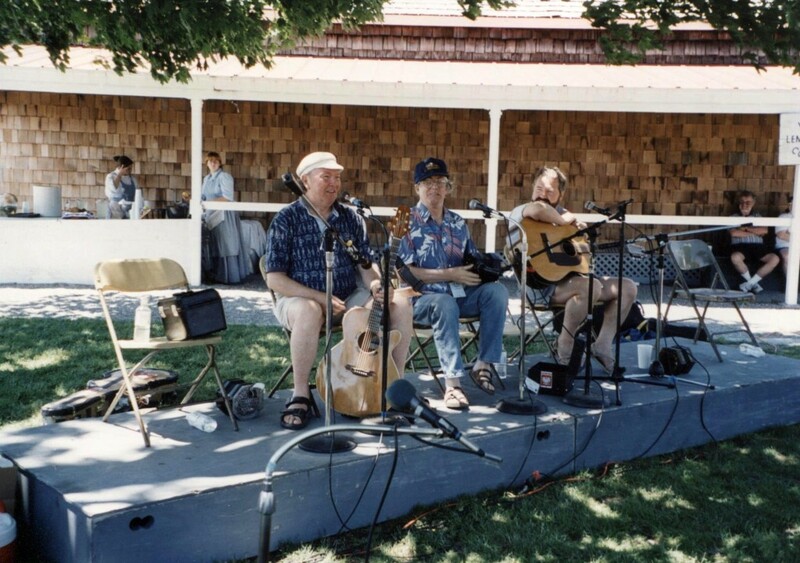 In 1999, I played with Cliff Haslam on stage at that year’s Sea Music Fest in Mystic… In those days I used to always sit upon a tall stool behind the mic which I would always bring along myself. Just as we finished our set, I brought my instruments over to their cases and turned to retrieve my stool… And there was Louis Killen sitting upon it, getting ready for his performance! 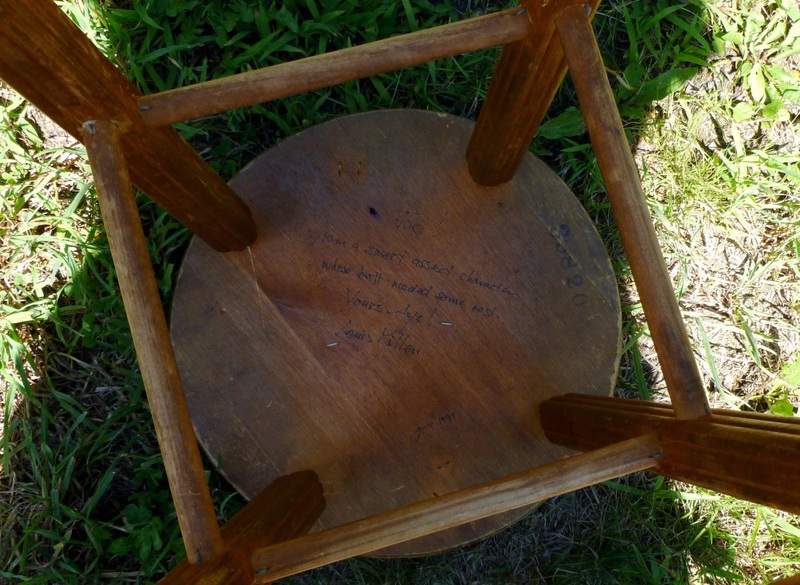 No, no, I will not take the stool away, and I sat and basked in his performance, after which I went up to claim my seat… He suddenly realized that it was not a seaport prop, apologized, and I made it very clear how honoured I was to provide it! I then asked for an autograph, and he signed the underside of that stool, which I then (at home) airbrushed a protective coating to preserve the handwriting and it is that stool to this day that Cliff and I use when necessary at our performances. The Big Three! Liam Clancy, Louis Killen, and Cliff Haslam at the 2001 Mystic Sea Music Fest. Photo taken by Kitsie Reeves. That wonderful, distinctive voice cannot possibly be silent….. and will ever be fresh in our hearts and memory! When Louis/a started a ballad, you were in for an (often lengthy) musical treat. You learned to slow down and enjoy the unfolding epic, to appreciate the well-crafted drama of the song as a story-telling saga. Also, she was brilliantly witty, and just great fun !